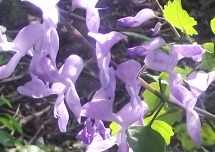 Spring (September – November) is probably the busiest time in the Garden. Plants awaken from their winter slumber and the Garden comes to life again with a multitude of gorgeous flowers. A great variety of biodiversity is to be seen at this time, making it an ideal time to visit. Among other species, the harrow-breaker (Erythrina zeyheri) is the most prominent indicator of spring when it resprouts with its brilliant scarlet flowers. 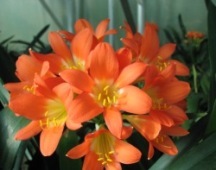 Spring is when clivias display their orange and yellow flowers adding to the season’s burst of colour in the Garden. 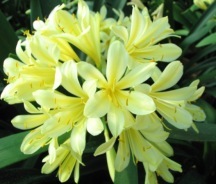 Towards the end of spring, the Free State’s emblem flower, the Orange River lily (Crinum bulbispermum), comes into flower. It is not only the plant kingdom that enjoys the arrival of spring in the Garden, but the animal kingdom too. Cape cobras, which hibernate during winter, make their appearance after the first spring rains. This is the best time for snake lovers to spot them in the Garden. 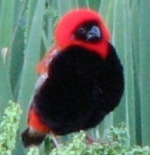 Red Bishops can be seen on wetland reeds by the dam, building their nests in preparation for the breeding season in late spring. At this time of the year the Garden welcomes back migrant swallows. Together with a host of other bird species, they start to build their nests and prepare for the summer breeding season. Summer is no doubt one of the most exciting and biodiversity-rich seasons in the Garden. Most of the rain in this region falls in summer, contributing a great deal to the water needs of the Garden. Summers (November-February) are very warm with an average temperature of 30°C, with occasional thundershowers in the late afternoons. 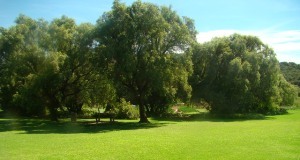 In years of good rainfall, the Garden looks superb and is green, lush and a pleasure to visit. Searsia, Karee trees grow naturally here, and most of those pictured were already mature when the Garden was established in 1967. The Garden lawn is a soothing green, beautifully shaded by Searsia, Olea europaea and other tall trees such as Celtis africana – the perfect spot for picnics on hot days. The Medicinal Garden is a hot spot during summer time, with most of its medicinal plants flourishing at this time. 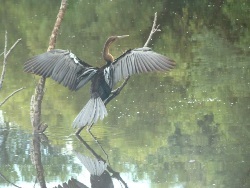 With sufficient rainfall, the water level in the dam rises, attracting migratory bird species such as the Reed Cormorant and Grey Heron. Colourful summer flowering plants include the wild iris (Dietes bicolor) and African lily (Agapanthus praecox). A stroll through our natural grassland is highly recommended. A self-guided trail exposes the visitor to the amazing Free State grasslands, which are intriguing and expansively beautiful. Summer is a popular time in the Garden for weddings and the Free State Garden remains a popular spot for wedding ceremonies. This is a pleasant time of the year in the Garden when most plants flower in shades of orange and red. The weather is fairly stable and the temperature generally not too high. Little or no rain falls and the nights begin to cool. Tecoma capensis(Cape honeysuckle), a popular garden and hedging plant, is deciduous in our part of the country can be found flowering in the Garden in autumn. It is visited by sunbirds, butterflies and honeybees for its nectar. At this time in the Garden, both white and orange wild dagga (Leonotis leonurus) burst into flower to herald the beginning of autumn. 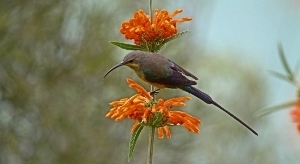 Their tubular blooms produce nectar that attracts sunbirds, bees and butterflies. Trees such as nanabessie (Searsia dentata), river bushwillow (Combretum erythrophyllum) and white stinkwood (Celtis africana) display their beautiful foliage during autumn. 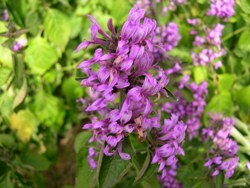 Several species of Plectranthus also flower during autumn. Free State is one of the coldest provinces in the country. Winter nights here are severe and many of the plants fight a deadly battle with frost. The surface of the grass is bleached by the frost and looks drab and pale. On very cold winter nights, the temperatures may drop to -5°C. Winter mornings are chilly, but the days soon warm up to an average temperature of 18°C. The Garden does not get snow but frost is common and black frost is an unwanted guest. Just as in any other ecosystem, the winter favours certain species in the Free State Botanical Garden. While some plants look sad in winter, others flower. 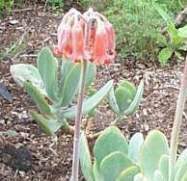 Among other species, Cotyledon orbiculata, Hypoestes aristata, Aloe maculata, Nylandtia spinosa and several other succulent species flower in winter. Trees in fruit in winter include the buffalo thorn (Ziziphus mucronata) and the parasite Viscum rotundifolium. At this time they are both laden with bunches of bright orange fruits, which attract many birds. With many Searsia species (formerly Rhus and commonly known as karee) flowering in winter, a blanket of yellow flowers from the trees cover the ground. Black frost has been defined as dry freezing (the occurrence of freezing temperatures without the formation of ice crystals). As there is no protective outer layer of ice crystals, black frost has the effect of internally freezing vegetation. Black frost is always a killing frost, and derives its name from the resulting blackened appearance of affected vegetation. Sometimes in winter, with temperatures dropping to a minimum average of -2°C in the early mornings, black frost settles into the Garden. Ground covers, such as Asystasia gangetica, turn black on top as they die back from the morning cold. While the Free State is well known for its cold, we protect our plants against frost and take special precautions in the Garden during winter by covering some of the cold sensitive plants with white frost cover cloth to protect them from dying.